When you have everything under the hood of your rig working the way you want, the last piece to the puzzle is the monitor. Even though there is an increase of higher resolution monitors available than there was before, it can get a bit confusing choosing what works best. If you are a competitive gamer the last thing you want is a monitor that compromises your play. For that reason, we sought out the best 144Hz monitors under a $200 budget to give you some of the best alternatives you can find out there. At 144Hz, you can be sure of noticeable differences when it comes to smooth image renders and an optimal refresh rates. But even though there is a noticeable difference going from a 60Hz monitor to a 140Hz monitor, most professional gamers will agree that there is a law of diminishing returns that comes into play when you go from a 160 Hz monitor and beyond. The more the refresh rate, the less the noticeable difference in the image thus a diminishing return with higher refresh rate monitors. For that reason, getting a 144 Hz monitor is a good way of striking a balance if you GPU can handle it. Adaptive Sync technology simply refers to the effectiveness of frame rate rendering using the GPU. 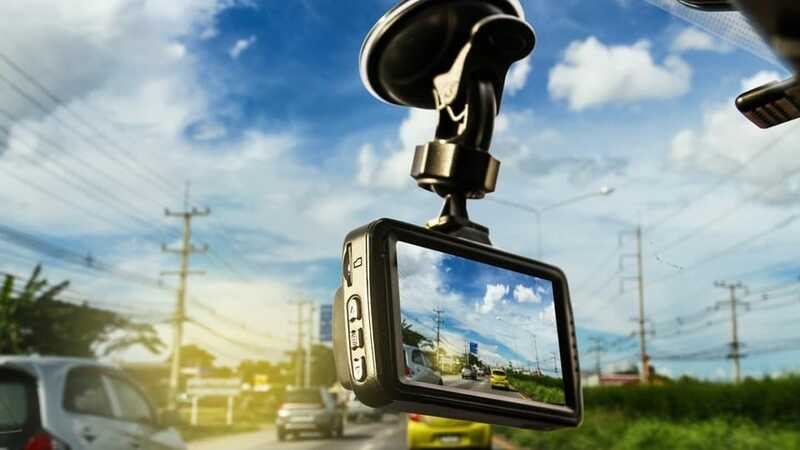 If you want to avoid a screen that keeps tearing at higher frame rates or stuttering at lower frame rates, you need to first understand the different technologies that exist. There are two types of adaptive sync technologies available. First is the FreeSync technology that comes with the AMD graphic cards. This technology does not come with an extra cost to the monitor’s price but it’s only compatible with AMD graphic cards. On the other hand the G-Sync technology from NVIDIA adds a premium to the price of the monitor and only works with NVIDIA graphic cards. There are two types of panel technologies that come with most modern monitors. These two technologies are the twisted nematic (TN) and the in-plane switching (IPS). If you set two monitors side by side, you will notice a difference between their displays as a result of IPS and TN panel desings. In most cases the IPS panel will give you better visual quality all around. With an IPS panel you get accurate color reproduction with vibrant images and a better viewing angle than TN panels. However, this does not mean that a TN panel is less capable. Its main advantage is that is works well to support faster response times. When picking a gaming monitor, most pro gamers will agree that screen size is one of the lease considered aspects of a gaming monitor. Since you are going to be up and close to the screen while playing, it is highly unlikely that a larger screen will make a huge difference. Therefore, sticking to anything in the 21 inch to 27 inch range would be a great idea for getting the best visual clarity and comfortable balanced viewing. Ultimately, the size you pick depends on your personal taste and preferences. However, if you have a 1080p monitor, the best size that will prevent any unsightly aliasing is usually below 24 inches. This is as a result of the low pixel density. Why we like it: The fact that this monitor is capable of delivering a gamer friendly design is a plus for anyone with a rig capable of handling its 144Hz frame rate. We love the fact that it comes with an eye saver mode as well, allowing you to play for long periods without visual fatigue. When it comes to incredible designs, Samsung has proven to be a leader with all sorts of technology products that outperform rivals. 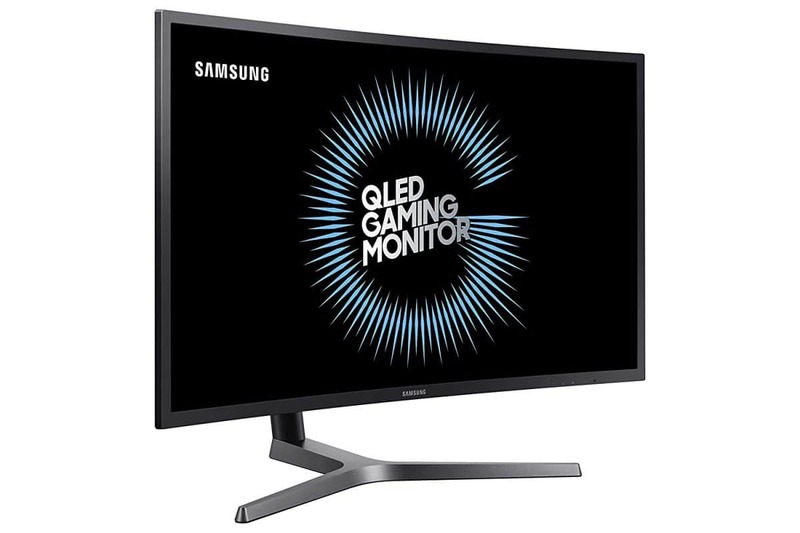 Among the best monitors for gamers, the Samsung C27HG70 stands out for features such as the quantum dot or the 1 billion color support that guarantee clarity viewing. This monitor comes with a pulsating lightshow features behind its panel that works well for getting you in the zone. The menu is intuitive enough for any gamer at any level plus it features an optimally tailored dashboard with easy access to key game settings. This monitor boasts of a factory calibrated game display that offers modes that are optimized for contrast, sharpness, and black gamma levels set to be used by pro gamers. With a 3000:1 contrast ratio, the Samsung C27HG70 gives you incredibly sharp images with adjustable brightness levels for true dark or bright scenes. Furthermore, the 1800r curvature is subtle yet noticeable enough without getting in the way of your gaming. It performs better than a flat monitor and compliments the 144 Hz refresh rate for smooth gaming. From its thin bezels to its impressive VA panel, the Samsung C27HG70 brings about convenience in all its features. Its pixel density is 1.7 times higher than what you will get with a full HD and the 1800R curvature, you can sit back and let the game pull you in. As a cherry on top of the ice-cream, Samsung gives you the lighting feature that delivers a lightshow like nothing you have ever seen with other monitors. Simply put there is just more thrill with the Samsung C27HG70. The Samsung C27HG70 performs well for any gamer. However, even with its host of great features it comes with its own set of flaws. For instance, even though Samsung recommends this with a FreeSync GPU technology, it delivers a somewhat poor FreeSync range considering its price range. You might also notice some ghosting when you set the active FreeSync below 100FPS. However, it still proves to be a fast monitor only with minor pixel response issues. Why we like it: Even with a low budget rig, the AOC G2460PF proves that a TN panel and an AMD FreeSync technology can help you take on your biggest challenger. This monitor has a quick response time with smooth image renders that guarantees to help leave your opponents in the dust. Right from its award winning design, the AOC G2460PF is built for comfort and enjoyment while gaming. It comes with an adjustable height stand that gives you options for finding your best posture. The 144Hz refresh rate is stutter-free with smooth and sharp image rendering that works well for high speed racing games. Furthermore, the 1ms response time not to mention the AMD FreeSync technology adds to the smooth gaming experience that this monitor is capable of providing. If you need a monitor that is easy to mount on a wall, the AOC G2460PF won’t disappoint. In the package, it comes with a wall mounting parts and equipment for that purpose. This monitor gives you versatile connectivity options including a HDMI-MHL input , VGA input, a display port and 4 USB 2.0 ports to mention but a few. Apart from its high refresh rate and response time, what makes the ViewSonic XG2402 certainly stand out is its height adjustable stand. The stand is great for those looking for a perfect viewing height that will keep their posture straight while working or playing. Most users agree that the AOC G2460PF offers an unbeatable set of features for its price range. The monitor features a premium look even though the finish has a plastic cheap feel to it. The stand is nice and you can switch it for a different one if need be. Furthermore, the monitor comes with all the connection ports that a gamer will need and the in-built speakers work fine. The only problem is that the brightness is ridiculously high but you can set it to a level as low as 2 for best results. 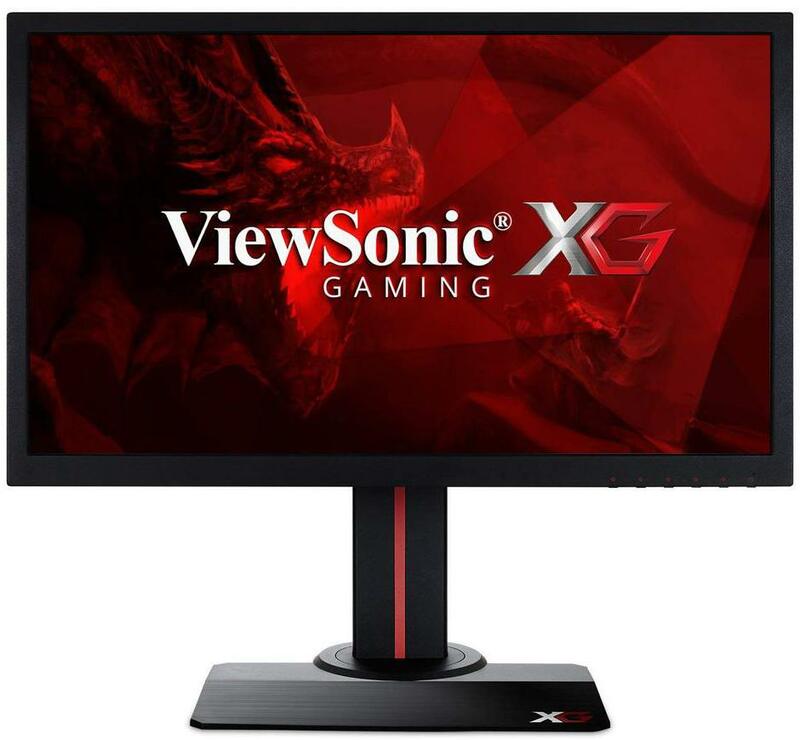 Why we like it: If you are looking for a budget friendly FreeSync gaming monitor, the ViewSonic XG2402 makes an appealing choice. Apart from its excellent refresh rate that performs well for graphically demanding scenes, we also liked it for the tear-free performance that is consistent enough even for competitive gamers. 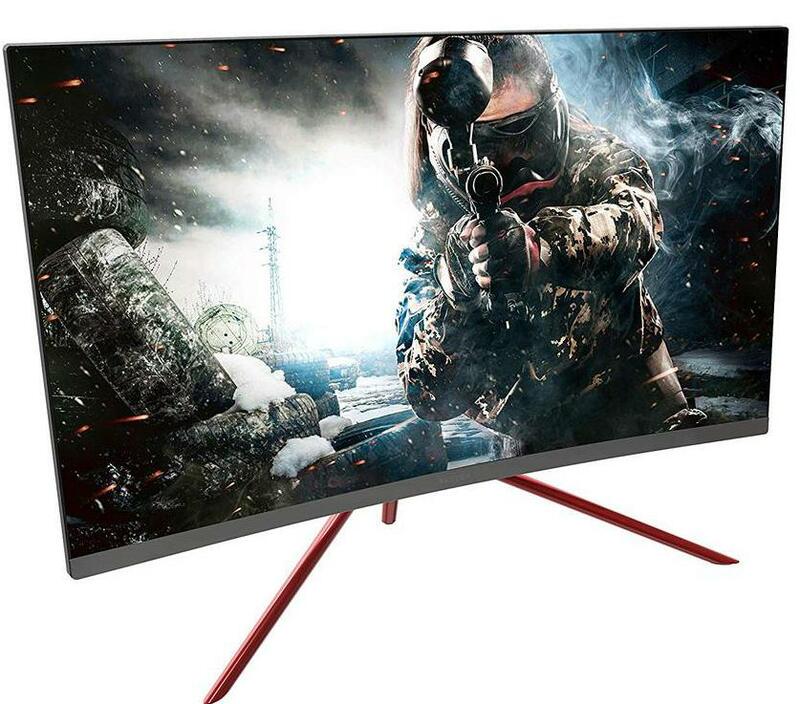 With decades of skin in the consumer electronics manufacturing industry, ViewSonic is certainly one of the brands you need to watch out for while searching for a gaming monitor. The company has a reputation for creating quality innovations that come at a pocket-friendly price. For that reason, even though the ViewSonic XG2402 comes with a plastic build, it boasts of an appealing premium look. But, don’t mistake the plastic build for a cheap monitor; this here is a solid monitor with great ergonomics and durability. It might only be a problem for those looking for thin bezels, otherwise it works just fine. The stand on the ViewSonic XG2402 is adjustable with a -150 to +50 tilt range. The stylized back design of the monitor comes with a back light not to mention a capacity for being mounted to the wall. It doesn’t provide the best cable management alternative so beware of that so that you don’t get disappointed. In terms of picture quality, the ViewSonic XG2402 is decent enough for an avid gamer. However, due to a low quality native contrast, and the lack of black uniformity, this monitor is not the best performer in a dark room. The maximum brightness setting is good enough to be used in a bright environment with ease. Let’s now switch it up and talk about what really counts. To begin with, the last thing you need in the middle of play is a monitor with a high input lag. Nobody wants to struggle with the mouse and keyboard just to control the game. Well, if that is the case, you will love the fact that the ViewSonic XG2402 features a built in process reducer that significantly reduces the delay between inputs for a real time response to the attacks from your opponent. Add that to the 1ms response time and the flexible connectivity and you are in it to win it. Overall, with the ViewSonic XG240, you get an arsenal of pre-set customized settings with enough flexibility in terms of connectivity. What’s more is that the ViewSonic XG2402 comes with a 3 years warranty that makes it worth the money. Its color quality is amazing and you can switch to select a refresh rate that suits your gaming card which is awesome as well. Why we like it: With a full HD 1080 p resolutions, the Acer ED273 is not the best monitor in terms of resolution but that is no reason to dismiss it. It is affordable yet it comes with the famous AMD FreeSync technology plus a flexible connectivity hub and a curved panel for immersive viewing. The Acer ED273 features a curved panel that delivers crisp, true to life colors that allow you to have a gaming experience like never before. With a 1920 x 1080 resolution plus a wide viewing angle you can achieve clarity viewing with ease. The monitor comes with an AMD FreeSync technology support that makes the panel work seamlessly with AMD graphic cards for a tear-free and smooth gaming experience. You can basically play and work with it for hours without fatigue to your eyes thanks to Acer’s Eye protect flicker-less blue light filter. Like every other monitor on our list, the 144Hz refresh rate of this monitor produces ultra smooth 2D motion scenes making it a must have for those looking to play fast paced games on their rig. From every angle, the Acer ED273 delivers stunning viewing angles with accurate color rendition. If you are a competitive gamer, getting this monitor is not only great for your gaming experience but also good for your eyes. Why? Well, this monitor comes with a convenient Acer VisionCare capacity that uses several technologies to help reduce eye strain by filtering out the blue light form the display to give you comfortable viewing. Another feature that stands out is the curved screed, at a 16:9 aspect and a -5 to 15 degree tilt , you get the same uniform viewing no matter your angle of viewing. 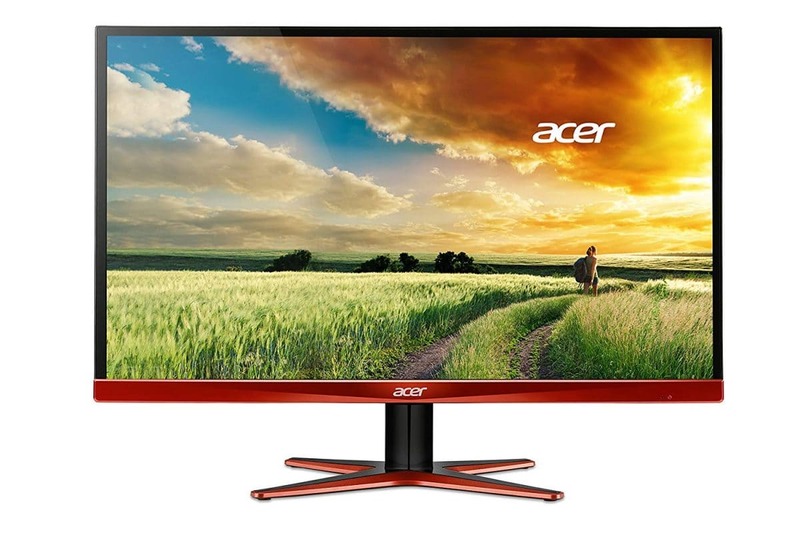 If you are looking for a budget monitor that will support 144Hz at a 1920 x 1080p resolution, going with the Acer ED273 is a great idea. This monitor is a great value for money with its sturdy mount and modern-like bezels. Some users have however reported that this monitor turns on and off when you wake it up with the PC especially after it has been on for a while. Furthermore, the in-built speaker is lacking in terms of volume quality but only a few gamers would actually need it. Also if you are looking for a monitor that can be used for color intensive work, this might not be the best option. 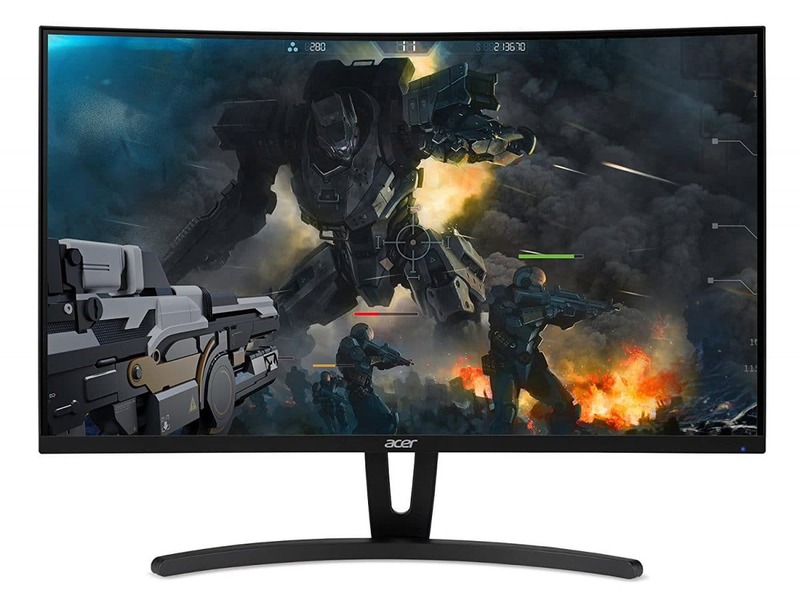 Why we like it: The smooth image renders of the Acer XG270HU prove this to be a go to monitor for gamers who love speed and a flawless gaming experience. You can never go wrong with a 144Hz refresh rate yet the Acer XG270HU goes beyond that to give you a TN panel with a sharp resolution of 2560 x 1440 WQHD as well. Designed to be a high speed gaming monitor, the Acer XG270HU offers a fast response rate at 1ms pixel. It’s a 27 inch TN panel monitor that comes with advanced color settings can be set according to your own preferences. The stand is fully adjustable and on the side of the cabinet there are hot keys that help you navigate through the brightness, contrast and gamma sharpness settings. Adding to the excitement of the fancy design that the Acer XG270HU comes with is a fast frame rate with excellent performance. This monitor also comes with a low-blue-light setting that helps reduce eyestrains thus enabling you to have long hours of play without fatigue. On purchase, the Acer XG270HU comes with a 3 year warranty making it a solid choice for those looking for value for their money. Now that’s what convenience is all about. When it’s all said and done, the Acer XG270HU is the go to monitor for gamers looking to score on a 144Hz monitor even while on a low budget. As long as your rig can handle it, the Acer XG270HU will give you smooth image renders not to mention a connection hub that is flexible for any task. You also get comfortable viewing at any angle and thanks to the zero frame design, you can be sure to beat your opponents while gaming on your desk. Why we like it: With just a few game plays, any competitive gamer will agree that the Nixeus EDG 27 is great at delivering a smooth gaming experience. We liked this monitor for its automatically active anti ghosting feature that keeps the monitor’s visual performance level optimal no matter what frame rate you have. Even though Nixeus is a young company it has already established a name for itself with its gaming monitors that guarantee no stutter and no tears. The company was founded in 2009 in Los Angeles California and focuses primarily on consumer electronics for gamers. 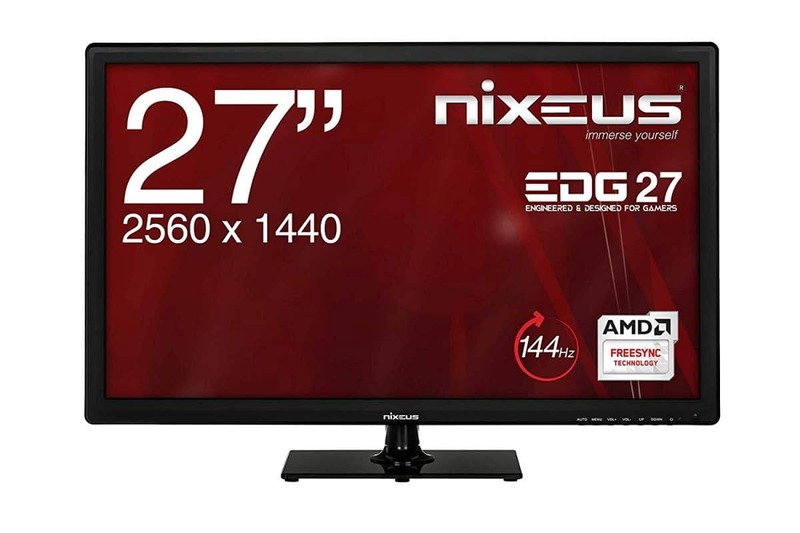 As a result the Nixeus EDG 27 is designed specifically for competitive gaming enthusiasts. It comes with a tempered glass base stand that tilts to 15 degrees giving you an eye catching visual experience just the way you want it. The on screen menu is easily customizable for gaming or content creation with easy access to color temperatures, contrast and brightness settings. With a 4ms response time, the Nixeus EDG 27 is one of the best monitors for fast motion games like twitch. This 27 inch panel supports AMD’s FreeSync technology and even with demanding games, the frame rate is capable of adjusting below 30 frames per second to accommodate optimal visual performance. For anyone looking for convenience, this gaming monitor comes with a built in stereo speakers that allow you to enjoy quality music and audio. In fact, Nixeus goes a mile further to give you audio peripherals with 3.5 mm audio ports for your inputs and outputs connections to your headphone and speaker accessories. The monitor gives you versatility in terms of connectivity options and as a cherry on top, the 90 degree adjustable stand lets you either set it in portrait mode or tilt it back and forth to fit your comfort. At its price range, the Nixeus EDG 27 is probably the last piece of an excellent rig for any gamer. That is why users love its vibrant display. The only downside is the fact that its menu could do with some improvements to make it better. Why we like it: Over the years LG has proven that it has the capacity for producing amazing technology products. Their LG 34UC79G-B 34-Inch is one of the best gaming monitors especially thanks to a 1ms response time that eliminates any kind of motion blur in your images. There is a nice aesthetic feel to the overall desing of the LG 34UC79G-B 34-Inch. At the back, you will get a glossy finish around the bottom half coupled with a matte black finish at the top half. The monitor features an AMD FreeSync technology that eliminates tears. With an ultra wide 21:9 curved IPS display this LG monitor makes a great option for those looking for an immersive gaming display that also allows for multitasking. The monitor gives you a variety of options when it comes to connectivity that includes a single display port and a single HDMI port. Furthermore it also features the crosshair technology that advances your gaming skills by placing the striking point at the center of the display. You can even optimize the monitor to fit your own preferences which is great. If you are a serious gamer, there is no doubt that one of the most convenient features you look out for is the response time. Well this LG gaming monitor comes with 1ms response time for precise, smooth and accurate gaming experience like never before. Additionally, you get the famous crosshair feature that places the striking point at the center of the display so as to enhance your skill will firing at your opponents. You also get to enjoy other advanced gaming features such as the black stabilizer that brings out more details of your opponents hiding places plus the Dynamic Action Sync that you can turn on for action oriented games is great. When it’s all said and done, LG proves to be the yard stick of producing brilliant monitors for gamers. 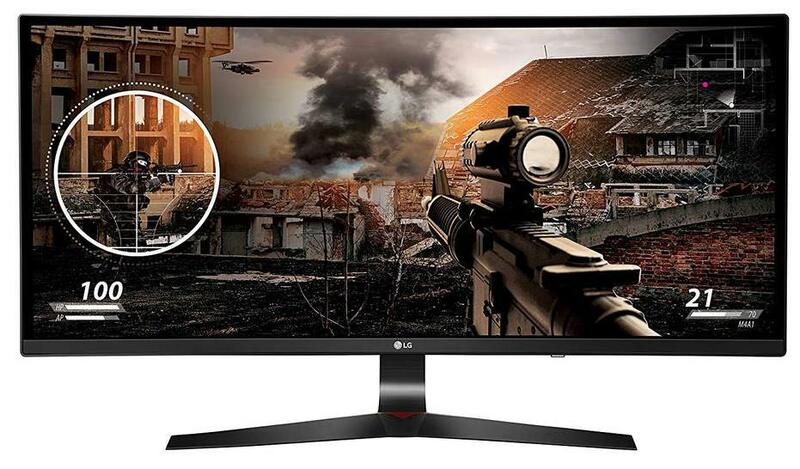 With an IPS panel and a 144Hz refresh rate, the LG 34UC79G-B 34-Inch is a go-to monitor for the professional gamer. However, it leans more towards the pricey side which might be a deal breaker for the thrifty spender. Why we like it: We liked it since it features a quantum dot technology that is capable of upgrading your gaming experience with a brilliant display. There are only a few gaming monitors that can compare to the brilliance of the Samsung CHG90. This 49 inch gaming panel is designed for competitive gamers who can work with multiple gaming modes. First of all, it supports versa mount which means you get a bracket and other mountable parts in the package. Once you have it set up, you will love the crisp clear image detail that this monitor is capable of. 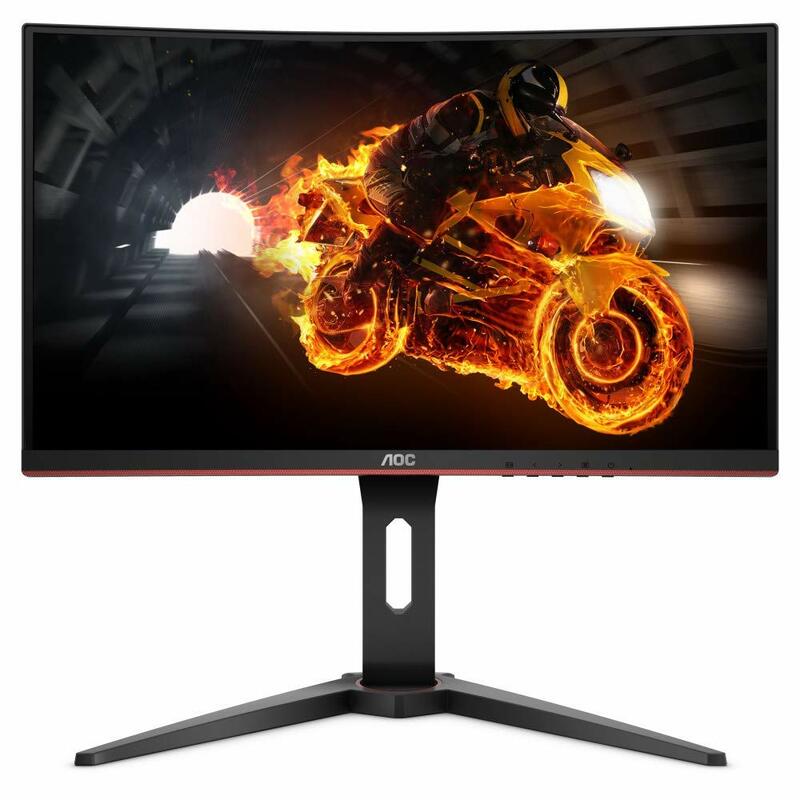 Since it’s an ultra wide monitor boasting of a 3840 by 1080 resolution you can be sure to have it as your favorite monitor for gaming and entertainment. At the back of the monitor there is an audio-aligned Arena Lighting that is common with all Samsung CHG90 series of monitors. This feature does not just add to the thrill but also boosts the sound whenever your gaming gets intense. As if that is not enough the seamless multi tasking capacity of this monitor makes it flexible enough to be used with a single power cable that ensure near zero clutter. 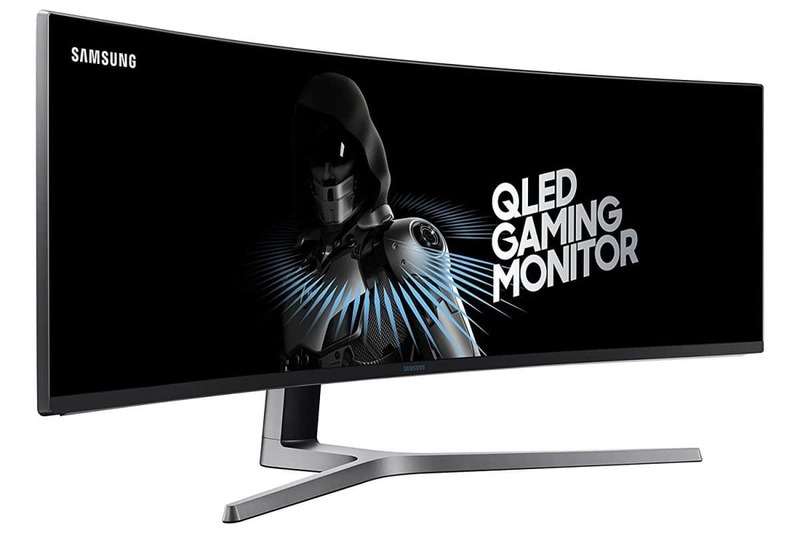 One of the features that stand out about the Samsung LC49HG90DMNXZA CHG90 right out of the box is its amazing ultra wide monitor with a 1800R curved panel. The innovative 32:9 aspect ratio plus the HDR features brings about mind-blowing details with true darks and brighter image renders fit for the ultimate gamer. Even if you are planning to use it in fast paced games, you can be sure this monitor wont disappoint as it comes with a superior VA panel with 1ms response time. The refresh rate is set at 144Hz for smooth renders but you can also set it to a user-friendly 60Hz right from the screen display menu. The Samsung LC49HG90DMNXZA CHG90 is best known for its smooth image renders and its wide panel. It’s a FreeSync monitor meaning you can only use it with an AMD rig. One of the features that has had most users amazed is its immersive view that is simply fantastic for gamers and entertainment lovers. Why we like it: The fact that this monitor has a high pixel density not to mention a superior VA panel that is built for speed with 1ms response time makes it a good performer for most fast paced games. Let’s face it, AOC is not as popular as the Samsungs and LGs of the monitor world, but don’t let that fool you into dismissing this brand. AOC, after all, has been in the display technology industry for over 50years and bring to the table enough experience for making the best monitors. Certainly the AOC C27G1 27” is no exception. 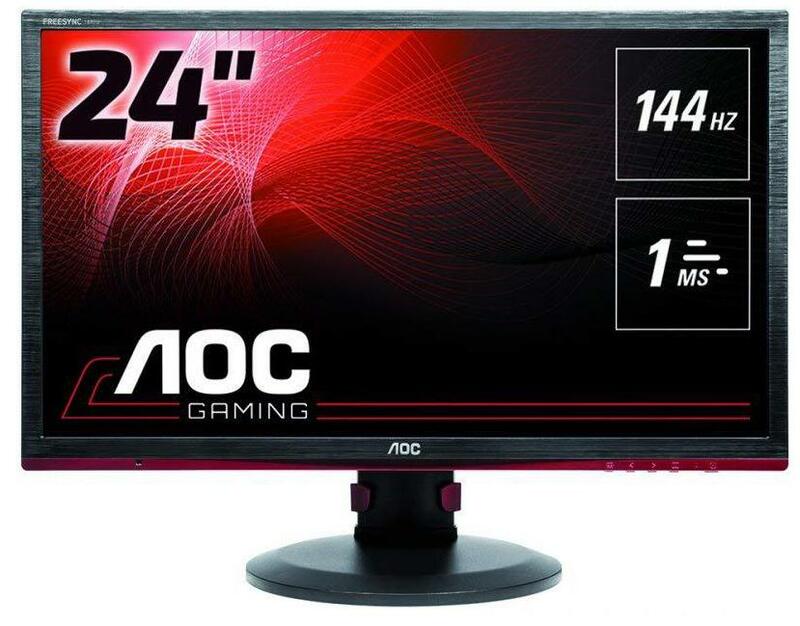 In fact, we already have an AOC monitor on our list and another so what better way to demonstrate the best of AOC monitor than to present to you this gaming monitor that brings out the darks and brightens the whites. It boasts of an 1800r curvature that is noticeable but subtle enough for an immersive gaming experience. With a support for FreeSync technology, this screen guarantees to be stutter and tear free while maintaining a speedy response time of 1ms. In terms of adjustability, this AOC monitor goes all the way with a sleek frameless design that sits on a stand that tilts to your desired height. The connectivity options you get include a VGA port, a 1.2 Display port and 2 HDMI 1.4 connections. Thanks to the frameless design of this monitor, you can easily use two or more of the AOC C27G1 to built a super setup. The minimal bezel design makes them ideal for this purpose and the fact that the monitor rocks an AMD FreeSnc technology, getting tear and stutter free viewing is easy. Although the monitors design somewhat comes close to that of the Lenovo Y27f, the AOC C27G1 brings about more flexibility in terms of connectivity with a stand that is easy to use so that you can set it to your most preferred height. If you are on a tight budget, sticking to the AOC C27G1 will give you an amazing gaming experience likewise. At its price range, there are only a few options with an 1800r curvature not to mention a minimal bezel design. In fact the AOC C27G1 is a go to even for competitive gamers who are looking for a cheap but efficient monitor with a fast response time. 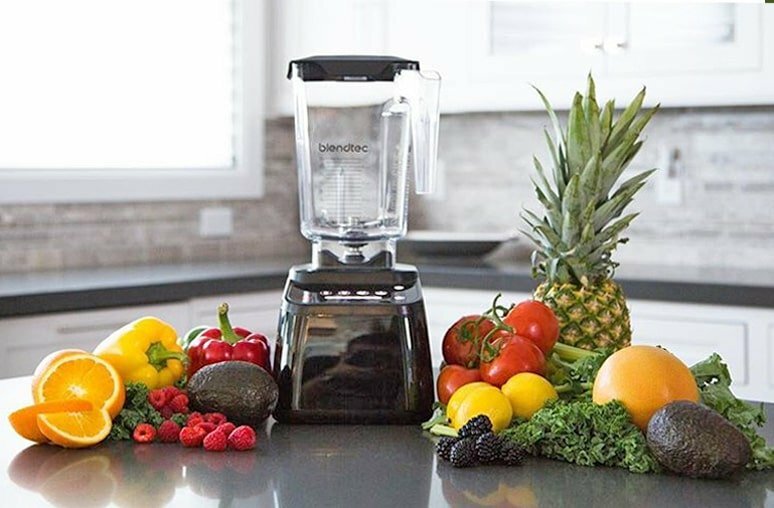 Why we like it: With zero dead pixels and a stunning ergonomic design, there is simply no reason not to like the VIOTEK GN27C2. Not only is it built for smooth image renders but also boasts of minimal motion blur thanks to its support for AMD FreeSync technology. Pro level gamers know a good monitor needs to bring out the image detail and it all starts with the contrast. With a 3000:1 contrast ratio and over 16 million colors distributed over its VA panel, the VIOTEK GN27C2 is definitely a go-to monitor for pro level gamers. It has a fast response time and boasts of a PS4ready capacity that lets you enjoy it with your Xbox. There is a low blue light setting that is capable of filtering the harmful blue light for comfortable viewing. As if that is not enough, the screen of this monitor is treated for an anti-glare effect that keeps your eyes from straining. The VIOTEK GN27C2 is built for versatility. It has a flexible and adjustable stand that tilts to let you find the best viewing angle. It is also VESA mount compatible thus you can easily mount it to a wall. In terms of connectivity, you get the usual display port, and a 2.1 HDMI port. If you are looking for a monitor with crosshair function for better control and aim, few monitors will do a better job that what you get with the VIOTEK GN27C2 at its price range. This monitor is made to support AMD’s FreeSync technology that enables fluid and smooth movement for fast motion games. You can use its connection hub, although limited, to connect though HDMI and a display port. However the feature that really stand out especially for most gamers is the fact that you can connect it with your Xbox if your use the 2.1 HMSI cable. The anti glare monitor is also great for accuracy while gaming and the 1800R curvature enables comfortable viewing at a 178 degree viewing angle which is great. The 27 inch VIOTEK GN27C2 is a clear display of how performance can meet affordability. For those that love the X-box, this monitor here is a decent pick. It offers flexibility, comfortable viewing and an image detail that is simply stunning especially if you consider its price range. 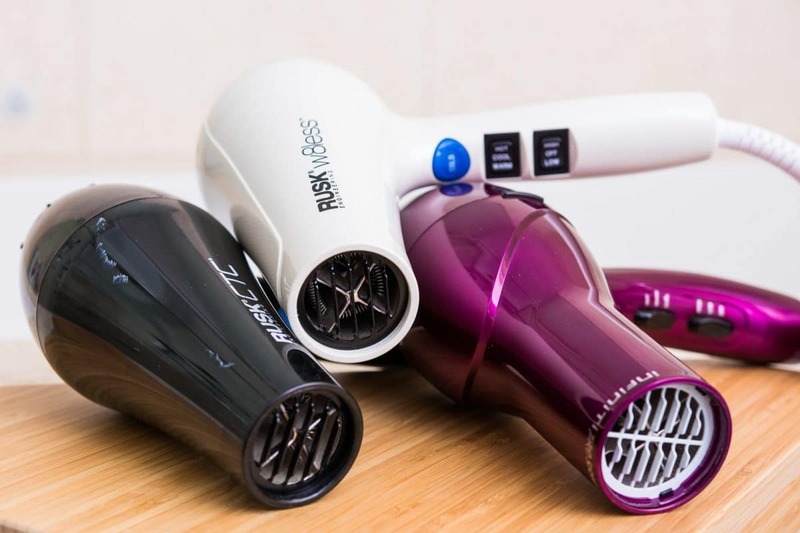 The only downside is that it comes from a brand that some buyers might be skeptical about. However if you give it a chance you just might be surprised. Are high refresh rate monitors worth the money? Well, as long as your rig can handle the high refresh rate performance monitors; there is no reason not to spend some extra money to get better performance. However even though there is a growing number of modern higher resolution panels with high refresh rates and more features, it can get confusing trying to determine what works best. With a high refresh rate your monitor will easily refresh images for better performance however above 140Hz you get diminishing returns with little noticeable difference. What’s a good response time for a gaming monitor? This entirely depends on the average FPS that your GPU can provide. Also, your monitors refresh rate can help and here is how. If you plan to use Nvidia Gtx 980 to play a game like Battle field 4 at a 1920 by 1080p resolution, the best you will achieve is an FPS of 87 frames per second. 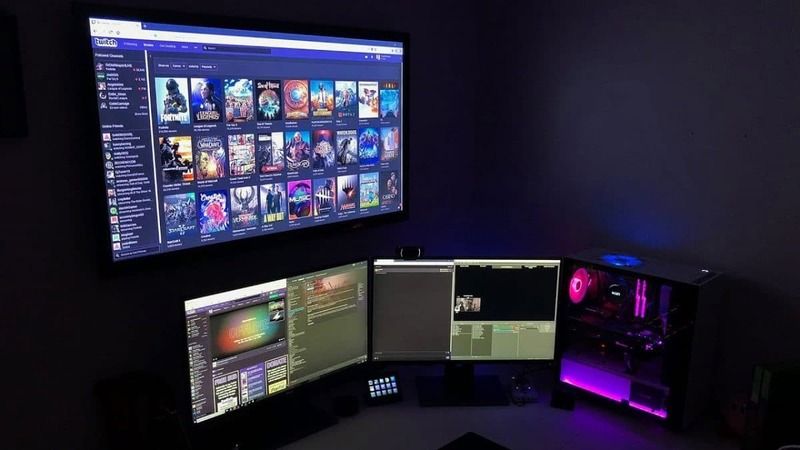 If you use this set up with a monitor with a response time above 5ms you are going to get image tears since the graphic card is faster than the monitor. The best response time therefore is a lower number preferably lower than 5ms. Is a sub $200 gaming monitor any good? Even though the market is full of fancy and expensive looking monitors, you can still be a pro gamer without the need of an expensive monitor. After all, if you are a competitive gamer, the best way to improve your performance is to stick with a monitor that can work well with your rig. Going overkill on the monitor can, in some cases, compromise your performance. So yes, a sub $200 monitor still works just fine. So there you have it. With our list of the best gaming monitors for those on a budget, you can be sure to find something that will cover all your needs. Be sure to also check out our buyer’s guide for some extra information on the features to look out for while picking your gaming monitor.